When I first started really getting into cosmetics, I was a big Illamasqua fan; I loved their products-especially the powder blushes and nail colors. So when I saw that Hautelook was hosting an Illamasqua sale event on their website a couple of months ago, I couldn't help but make an order for two of their lipsticks, which I have always wanted to try. 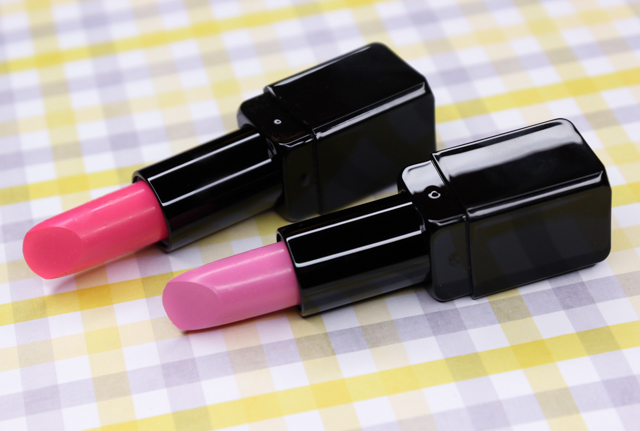 Let's take a closer look at Immodest (bright pink matte), and Plunge (mauve pink matte). Honestly, I expected nothing but good things from these two gorgeous looking lip colors. I am a fan of matte finishes so I liked that these lipsticks would provide that, and they also contain a vanilla scent that's just yummy. Unfortunately, that's where my rave for these lipsticks stop. Why you may ask? The texture. Not only are these lipsticks a hassle to apply, they feel super drying too. They can look uneven on lips, they settle into lines, and they bring attention to dry bits or imperfections. Plunge didn't look so terrible on the lips and it's probably the only one I can actually get some use out of, but Immodest was a different story. So patchy and just unforgiving overall. Both colors are pretty pigmented, with Plunge being the most opaque out of the two. I felt like I really had to build up on Immodest to achieve optimal color payoff. 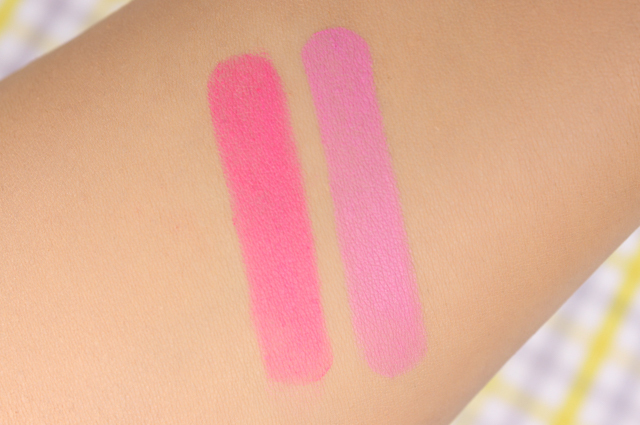 Overall: I am afraid I can't highly recommend these two lip colors from Illamasqua. Plunge wasn't extremely offensive, except for how drying it felt on, and the lip lines it enhanced. But I imagine a little topping of gloss can help remedy that. I wish I would have skipped out on Immodest since my experience with it was an unpleasant one all around. Such a shame, since the color is very pretty. Illamasqua has a fairly extensive lipstick range and just because I didn't have much luck with these two particular shades, it doesn't mean that I am opposed to trying out a couple of others in the future. Hopefully, I will fare better with the next ones. 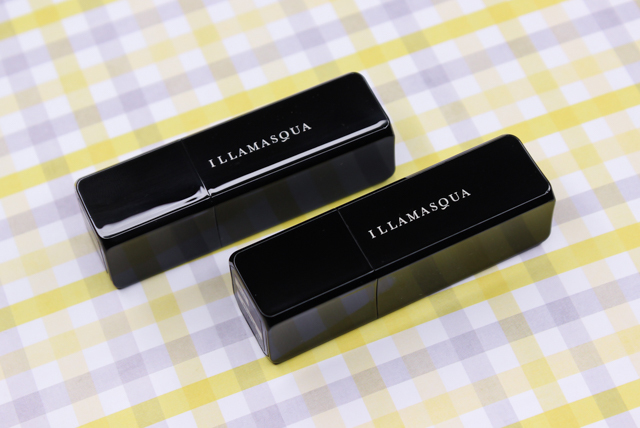 Which are your favorite Illamasqua lipsticks? Any recommendations? Disclaimer: Purchased by me. This post contains referral links. For more information, please see my disclosure page.